The use of terms such as veggie burger and vegan sausage could be outlawed under new rules proposed by the European Parliaments Agriculture Committee. In a vote on Monday, they proposed that names currently used for meat products and meat preparations shall be reserved exclusively for products containing meat. These designations include, for example, Steak, Sausage, Escalope, Burger, Hamburger. The text mirrors the a recent European Court of Justice ruling regarding on milk, which says that terms whey, cream, butter, cheese and yoghurt are reserved for dairy products and cannot be used to designate a plant-based product, such as soya or tofu. The ECJ ruled that EU laws are in place to protect animal products, in a case referred to it by a German court and involving German food company TofuTown. The company sells plant-based products with names including 'Soyatoo Tofu Butter' and 'Veggie Cheese'. It said customers were not misled, because its products' plant origins were clear. A German association combating unfair competition however, took the view that promoting those products infringes the EU legislation. TofuTown considered that its advertising does not infringe the legislation and noted that the way in which consumers understand those designations has changed considerably. In its judgment, the court observed that, in principle, for the purposes of the marketing and advertising in question, the relevant legislation reserves the term 'milk' only for milk of animal origin. That legislation reserves designations like cream, butter, cheese and yoghurt solely for milk products, that is products derived from milk. ABP recently took criticism for its investment in plant-based foods. 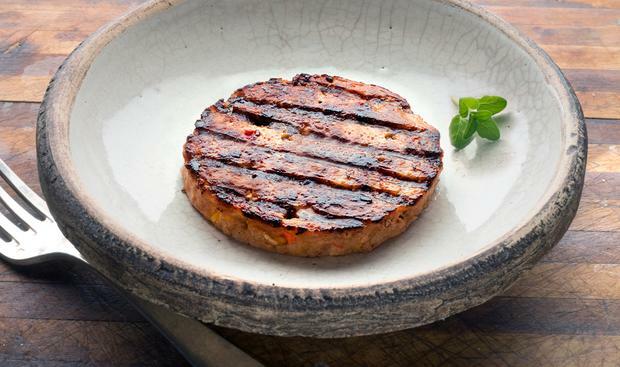 ICSA president Patrick Kent has said that he is shocked that ABP UK has got into the business of manufacturing meat-free burgers. He described their GBP£250,000 marketing spend on a meat-free, plant-based food range, as outrageous. Mr Kent suggested ABP UK should be more concerned with their core business and that the money would be better spent on paying a better price to beef farmers and promoting greater beef consumption.